We’ll be playing at The Stagger Inn in beautiful downtown Edwardsville this Friday night (4/30) from 10pm -1am. This is our first time bringing the classic country stylings of Trigger 5 to Illinois. I hope they’re ready for it. Come out and see the show. 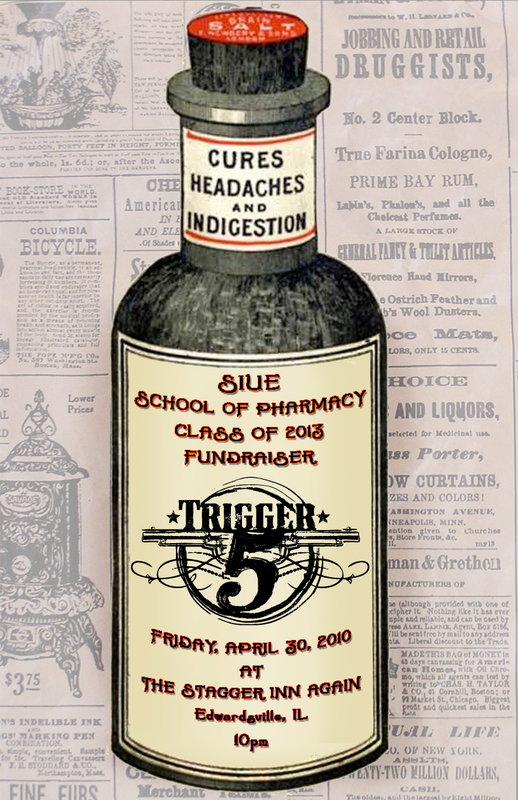 By the by, it’s going to be packed with student pharmacists from SIUE cuz we’re donating our take to the pharmacy school. We’ll be making history with members of the Soulard School Orchestra this Saturday at the Atomic Cowboy. We’re going to jam a few blues, fiddle and country classics with the kids starting at 6 PM. Then it’s Trigger 5 with your classic country faves for the rest of the night. $5 cover charge. 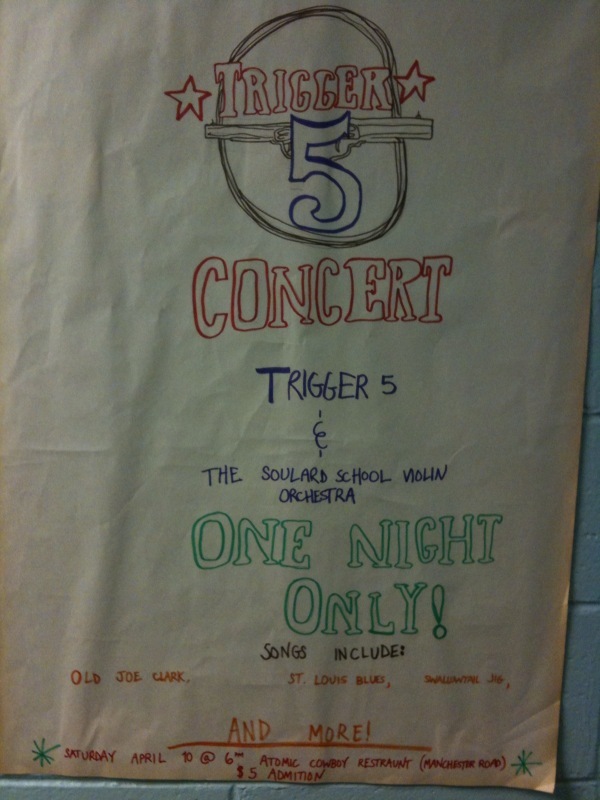 All proceeds will go to the school/string program. Bring your family and friends!